Happy New Year. I’m your host of Gospel Tangents, Rick Bennett. 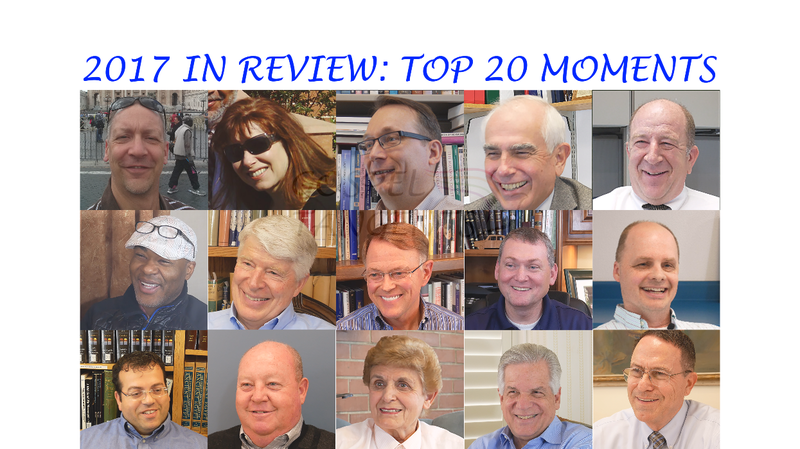 We’re counting down the Top 20 Moments that were most surprising moments in 2017 here on Gospel Tangents. I’ve learned a lot over this year. 1. Let’s start with some scoops! Paul Reeve told me he participated in writing the Gospel Topics Essay on Race and the Priesthood at LDS.org. Unfortunately, I had some camera problems, but the audio worked just fine. This is still my most downloaded moment of 2017! GT: Very good. Now I want to ask you another question. I’m hoping you’ll answer. I’ve heard rumors, and that’s all they are is rumors that you played a role in compiling that essay [Race and the Priesthood]. Do you have any response to that? Paul laughs: I did help with the essay. Yeah, Yeah. GT: So was it, can you describe your role? Paul: Well the Church History Department invited me to write an extended essay. It ended up being about 55 pages long with footnotes and everything like I would produce as an academic essay. Once they were satisfied with that it was sent up the line, several layers of approval process and then the Church History Department actually boiled down that longer essay to what got posted online so I had no say over what got posted online, what eventually appeared as Race and the Priesthood, but it was a condensed version of the longer piece that I produced for them. Brian: Yeah, I gave them a very long essay, and then maybe a couple of years later they sent me the Gospel Topics essay that was similar to what we have today. I went through it all. I think we had one other meeting in the interim, maybe two. I just went through and made recommendations on it, and every recommendation I recommended in the text they accepted. There were some outside comments that I made some recommendations they did not, but they were very generous to allow me to do that. They do quote from the trilogy a number of times and an article I wrote was also referenced. GT: So that took a few years for that whole process to go through? Brian: Yeah, you know originally they were thinking of doing long answer, medium answer, short answer. That was the first thing that was asked of me on the topic of polyandry. Then I just sent them some general stuff, and I don’t know how many iterations it went through there. Again I was excited to contribute to that. I only looked at the Nauvoo material. I know they had Kathryn Daines help out, and Kathleen Flake I think also are the other two that did the input on plural marriage. I hope they don’t mind me saying that but they wanted outsiders to critique it. Ugo: Yeah I helped writing that… it wasn’t only me. I actually took the lead on the project of writing that. I wrote a much more extensive paper which has been published as well in the Interpreter, the online Mormon journal. It’s about 40 pages long and then from that the Church condensed it down to what is the in Gospel Topics today. 4. Since we’re on the Book of Mormon, we had some interesting conversations. David Rosenvall had an interesting theory on how Asian DNA ended up in America. David: our hypothesis is that you have at least everyone that came over with Jared and his brother who dispersed for thousands of years, and if you assume that there are some that didn’t come across the ocean who were also related to them, who may have been a big part of how Asia became, there’s a good chance that the people of North America and the people of Asia are going to have the same DNA. The difference is they used boats to get them across and maybe the Bering Sea but at least the boats according to the Book of Mormon. So I always say DNA is the best evidence that the Book of Mormon is true because in there is the Book of Ether that talks about a group that was in Asia and a group that’s in North America that are related. 5. Perego didn’t necessarily agree with Rosenvall, but he noted another group of people who had disappeared from America. Ugo: Do you know the Vikings were in Greenland from 1000-1400 A.D., 400 years? We have written documentation that they were here, the Icelandic woman actually kept their record of their voyages. We have villages, remains of Viking villages in Greenland that around 1400, they just left. They just left. We also have DNA from Native Americans in Iceland, which pre-dates Christopher Columbus, that’s been there. So we know probably these Vikings took some women to Iceland, and that’s why we have their DNA there. But where is the Viking DNA in America? GT: That’s a great question. I have no idea. Ugo: Well I’m sure it’s there, but there is not enough time for the post-Columbus DNA, to differentiate it from the pre-Columbus DNA. So whenever we find European, Middle Eastern, or African DNA in the Americas, even among tribes, native tribes, by default, scientists always say, we think this is post-Columbian admixture. 6. He also did an interesting study with regards to the Mountain Meadows Massacre that I had never heard before. Ugo: the U.S. government made an investigation on what happened that some of that truth came out, and it was about two years at this time. The records said that only 17 of these 18 children were identified and returned to relatives in Arkansas. So who was the 18th child? What happened to this child? Who was it? As years went by there had been rumors that one of these children was the oldest daughter of Bishop Klingonsmith who was involved with the massacre. He’s there. GT: So the daughter was essentially adopted by Bishop Klingonsmith. Ugo: That’s what the claim was. The 18th child was the one that was not returned. So it’s making something bad into something worse because now you have a child that doesn’t belong to you… So the conclusion from the paper was that probably Priscilla was the biological daughter of the Klingonsmith family, and not the surviving child. 7. Of Course Perego worked with Brian Hales on the paternity tests with Joseph Smith. Brian had some interesting things to say with regards to polygamy. Who was more believable: Joseph Smith or Fanny Alger? Brian: the people that Joseph Smith told about Fanny Alger as a plural wife, they didn’t believe him. But most of the people that learned it from Fanny did believe which is interesting. 8. Anne Wilde had some interesting things to say about Jesus regarding polygamy. He said, “Oh, absolutely he was married. His account of his marriage is right in the New Testament. It could be no other way. The account of his marriage is in the New Testament, referring to the Marriage at Cana…” GT: Who did he marry? Anne: He had at least three wives. Anne: Uh huh. Mary, Martha, and Mary Magdalene that we know of; there’s a quote that kings’ daughters were among his honorable wives. 9. But how did polygamy originate in the LDS Church? Mark Staker has an interesting theory! GT: So wait a minute. You’re telling me that Black Pete may have been responsible for introducing polygamy into the Kirtland community? Mark: I believe so… I believe that Black Pete introduced that idea to him. Now is there really a step by step process to the doctrine as how that happened? No. It’s a circumstantial case. 10. Dr Staker had another interesting note regarding the first black Mormon! GT: So is this something that you think Black Pete may have introduced the Mormons in Kirtland was speaking in tongues? Mark: I believe he did. 11. In talking about early black Mormon, Margaret Young surprised me with this concerning Jane Manning James! Margaret: Jane had been raped by a minister in Wilton, Connecticut, so in the first book [I wrote, One More River to Cross], I kind of identify him. There’s pretty good evidence of who it probably was, so she had a son, Sylvester when she first came to Nauvoo and Sylvester was there with them on the trek. 12. Moving to more modern times, Darron Smith had some interesting things to say about black athletes at BYU. Darron: The federal government keeps graduation data from over a six year period. If you started this fall, 2017 in the fall, that will follow you for six years, that cohort of thousands of students all across the country will follow that cohort for six years. You can see within that six year period at each institution the percentages of students that actually complete within that six year period and those that don’t… The lowest [black graduation rate] in the state? I was surprised to see that, very surprised to see that. The data, all of that data, plus the GSR scores, the story is becoming clearer. 13. Since we’re into modern history, let’s talk about the Mark Hofmann bombings. Who did Curt Bench call when he heard about the first bombing? Curt: That day I talked to Mark on the phone, the day of the bombings. Curt: Several times, probably six or seven times. I called first to warn him about the bombings, well bombing at that point because there was already a lot on the news. Shannon: he hypnotized himself the night before the polygraph, and then again in the morning, and just told himself over and over again, “I didn’t do it, I didn’t do it, I didn’t do it,” and then describes the test being administered. When they got to the questions: did you cause the death of Kathleen Sheets? Did you cause the death of Steve Christensen? … He was able to not produce any significant physical response to that, and said that he was aware of the questions but could just let his subconscious come forward, that he had convinced, hadn’t done it. 15. Of course, that wasn’t the only crime issue in Mormonism. Anne Wilde had a surprising encounter with a murderer! Anne: Ogden was introduced to him one time under a fictitious name and so we went out to a meeting and thought this was this guy’s name, Stilson, and lo and behold shortly after that we saw a picture, “Wanted: Ervil LeBaron” but was a picture of this guy that we had met. He even stayed in my home under that other name. Then when I found out who he was, I was a little concerned, but fortunately I didn’t know who he was at the time he stayed in my home. 16. Anne remains unaffiliated with any polygamist groups. We also discussed another Mormon group, the Remnant Church of Jesus Christ of Latter-day Saints and spoke with a member of the First Presidency. I was surprised to hear when Jim Vun Cannon joined that church! Jim: I started attending the Remnant Church in 2012 I believe is when I started. GT: Oh really, just that recently? Jim: Yes, that recently, yes. GT: Wow, and you’re in the First Presidency now! Jim: Yes, it was an experience where the Lord told me to go and join this church, and I was just told to go and worship with these folks and ministered with these folks and I really wasn’t told much more than that. At the time I did not even have a testimony of President Larsen and his calling to be the prophet of the church, but that came very shortly afterwards. I felt like it was one of those stepping out of the boat moments. You know the water was a little squishy underneath your feet and trying to look forward, but yes, yes. 17. In talking with Jim, I learned they would like to build a temple. But Dr. Richard Bennett told me something about our own temple worship that really surprised me! Was that a factor in the beginning of endowments for the dead for the church in 1877? I claim that it may have been one of the factors to begin to address how we really think about them. There is redemption for the dead but it’s not that way. So was it a factor? I argue that it probably was one of the factors. 18. Speaking of surprises, Dr. Greg Prince surprised me with this nugget on the Word of Wisdom! Greg: You will hear people still who say the Word of Wisdom proves Joseph was a prophet because it was a hundred years ahead of its time. It wasn’t even a day ahead of its time. It reflected what everybody already knew. This was the air that they breathed. The Temperance Movement kicked in in 1826 because there was an epidemic of drunkenness in the United States. The consumption of distilled liquor over a 30 year period had tripled on a per capita basis. 20. What surprises are in store for 2018? How about an interview with an apostle, and what constituted the first temple recommend! This is Lachlan MacKay, an apostle for the Community of Christ. Lach: My sense is that in Nauvoo, the thing that is going to be true that you did see that you start to have to have, I believe, a receipt that said you a tithe payer in order to gain access to the baptismal font, and they didn’t welcome non-members into the temple in Nauvoo while they were performing ordinances, but it was still a public building. That receipt, I think, is what many generations later would become the idea of a temple recommend. Thank you so much for listening. I know 2017 was a year of surprises and I’m sure 2018 will be as well. I’ve already lined up interviews with John Hamer, Matt Harris, Michael Quinn, Simon Southerton, Russell Stevenson, Newell Bringhurst, and Sandra Tanner. I’m sure we will have many others, so please tune in and subscribe to our page so you don’t miss any of them. Make sure that you Like our Facebook page at facebook.com/gospeltangents. You can subscribe on YouTube at youtube.com/gospeltangents, Tweet us @gospeltangents. Make sure you subscribe on iTunes to be sure you don’t miss anything. Share as much as you can with your friends and family! Anne was the second wife of polygamist Ogden Kraut. 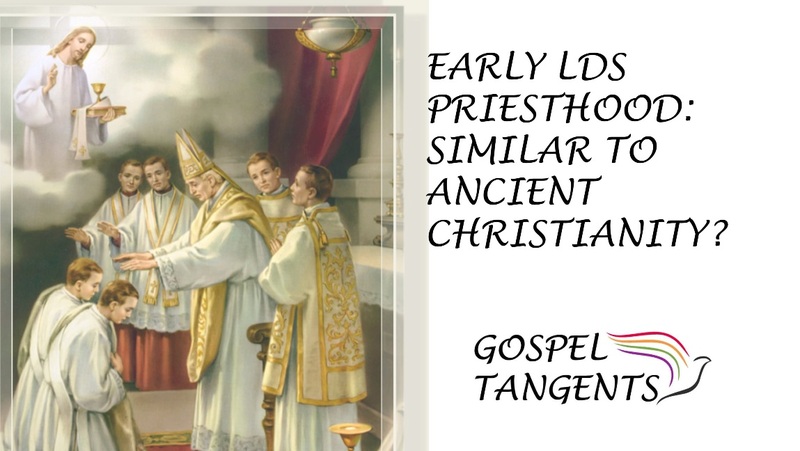 Early LDS Priesthood: Similar to Ancient Christianity? Greg Prince wrote a book on the evolution of LDS Priesthood. In our next conversation, I’ll talk to Greg and I’ll ask him more about this evolution. He even touches on the variations in the First Vision accounts. Greg: Yes, I think you need to start by backing up to the time when there wasn’t even a church and look at phases that Joseph Smith went through. The earliest phase was there wasn’t even talk of the church. There wasn’t even talk of authority. When he had his First Vision, if you looked at the earliest version of that as likely being the most authentic historically, it had nothing to do with churches. He said in his account of it in 1832, [he] already knew from studying the bible that all the churches were wrong, which is diametrically opposed to what the canonized version says. So he went to the grove for personal forgiveness, and that’s what that account said. The Lord appeared and said Joseph had been forgiven; end of story, bye, bye. [There was] no hint that there would be a church in his future. When you start to get into the Moroni narratives, then you have implicit authority, meaning that people around Joseph believed that something extraordinary was going on, and when he got the plates, they saw that something extraordinary was going on, and nobody challenged his authority to do it. Towards the end of the translation process, they become concerned about having authority to perform ordinances, baptism being the primary one. Did you know that in the early Mormon Church, Bishops and Deacons weren’t even a part of the organizational structure? The Nephite Christian Church described in the latter chapters of the Book of Mormon had only three offices: teachers, priests, and elders, and there’s minimal description in there, but there was a differentiation between the teachers and priests on the one hand, and elders on the other hand. The word “priesthood” was not used. In fact “priesthood” was more likely to be interpreted as “priestcraft” in the Book of Mormon, the evil priests. If you look at the Far West record, which is basically the minute book of the early church general conferences, in the first conference that is recorded in June 1830, there are only three offices to which people are ordained: teachers, priests, and elders. You have two others appended in 1831: those were deacons and bishops. There are lots of other surprising insights. You can make the claim that this is a restoration of the primitive church structure, but you can’t make that stick. Yes those offices are recognized both in the New Testament. It’s about as far as you can take it. The concept of a dual-tiered priesthood existing within an early Christian church isn’t there. It’s taking parts of Old Testament theology, parts of New Testament theology, doing some cherry-picking, and eventually settling in pretty much on where we have it now. I enjoyed our latest conversation with Greg Prince. We talked about incapacitation of church leaders due to medical factors. Is this a problem in our church ailing church leaders having such an advanced age and becoming incapacitated due to medical issues? Greg: So, if you’re just looking at this from a medical standpoint, it’s inevitable that incapacitation of an LDS Church president will be both more frequent and longer lasting. 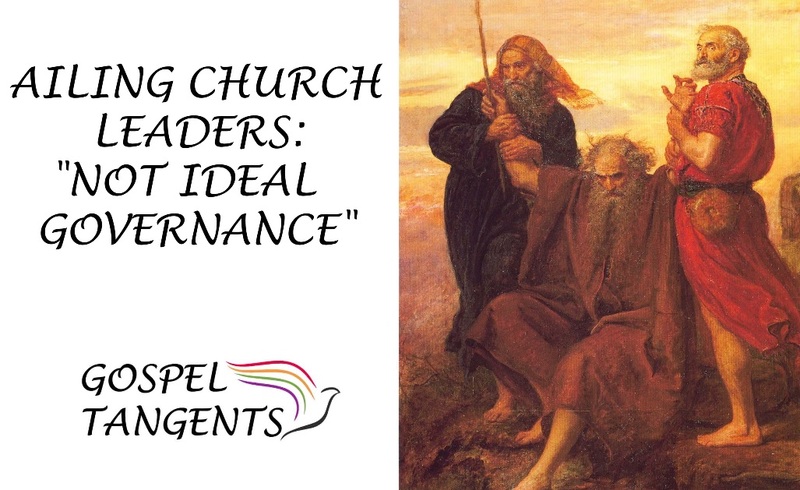 In a fast-paced, complex world with a growing church, that may not give you the ideal governance. So the question is, what do you do about it? What we did about it is to say look. Here’s the medicine involved in this, period. If they choose to address the situation at some point, it’s their call. But what we can say with a high level of confidence, because we looked at this through the eyes of medicine is, this is the situation. It’s going to happen more frequently, and last longer. Now a few month ago, Greg took some flak over a comment he made about church policies changing. He made a similar comment to me when I asked if he saw the succession policy changing. GT: Do you ever see this policy changing? Greg: I see virtually anything changing because I have seen everything change. I’m not aware of a single LDS doctrine of any significance that from 1830 forward has gone completely unchanged. You’d think a lot of them would, but it turns out, no there were some substantial changes in many cases very early on. If you just look at the First Vision narratives, you see the evolution of Joseph Smith’s theology of deity, and it’s taking place in a very rapid fashion and in a very dramatic fashion. It wasn’t just nibbling at the periphery. He was going through evolutionary leaps in the way that he portrayed the godhead. That was reflected in his subsequent retellings of the story of the First Vision. Each time he told it anew, it incorporated the then current version of his theology of deity. That’s why those different versions are telling different stories, because they became theological narratives rather than historical narratives.